This puppet set sold at Lyon & Turnbull’s September 5 sale (25% buyer’s premium). Blundall (1937-2014) worked on Thunderbirds, created the 1980s TV character Pob and had one of the largest collection of marionettes in the country. He had been director of Cannon Hill Puppet Theatre in Birmingham and following his death, auction house Lyon & Turnbull held the Illustrated & Animated: The Collections of John Burningham & John Blundall sale in February this year. Following this a further sale was held in April. Furthermore, in a more recent sale, four near life-size 19th century Sicilian opera puppets from a different source - the Gian Carlo Menotti collection - put in a strong performance at Lyon & Turnbull’s September 5 sale. 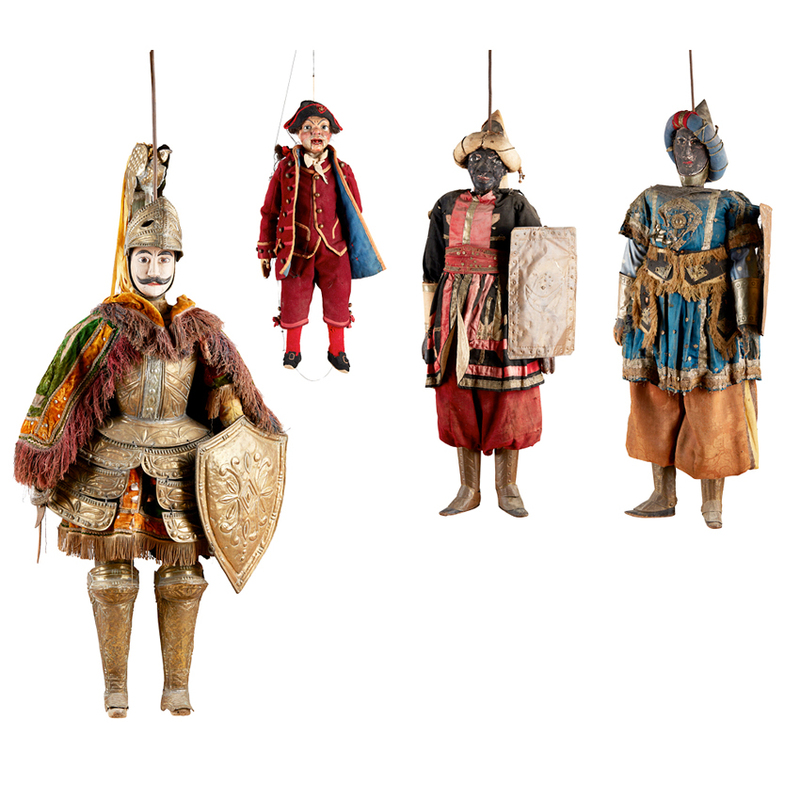 The set, comprising a 5ft (1.53m) tall conquistador and smaller figures of two Moors and an official, was offered with a Guignol puppet theatre and, against a £600-800 estimate, went to an American buyer at £2600. For more on the Lyon & Turnbull September sale see next week’s Antiques Trade Gazette.